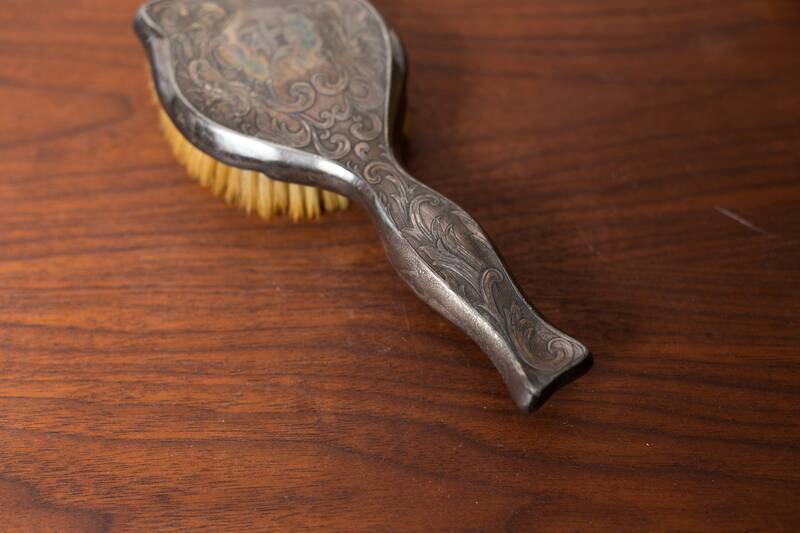 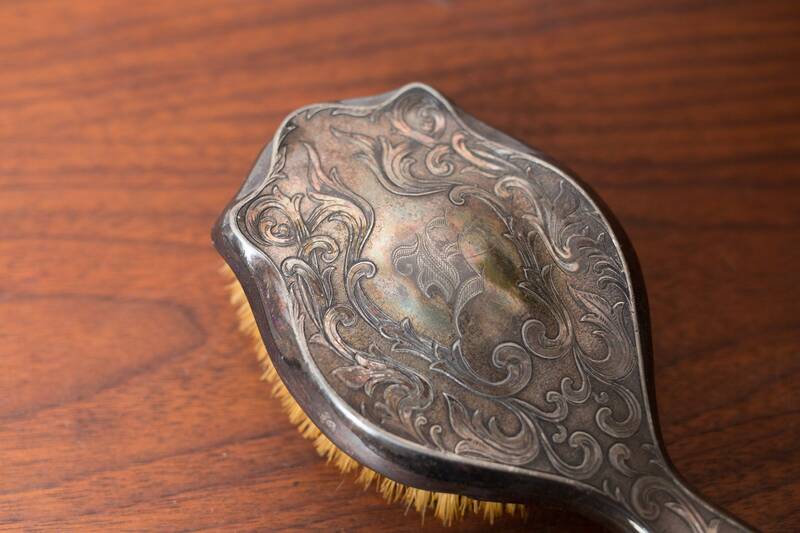 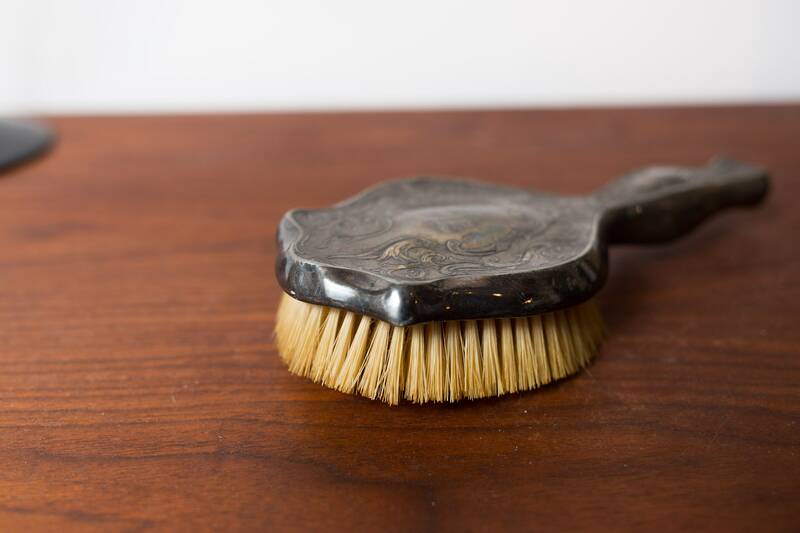 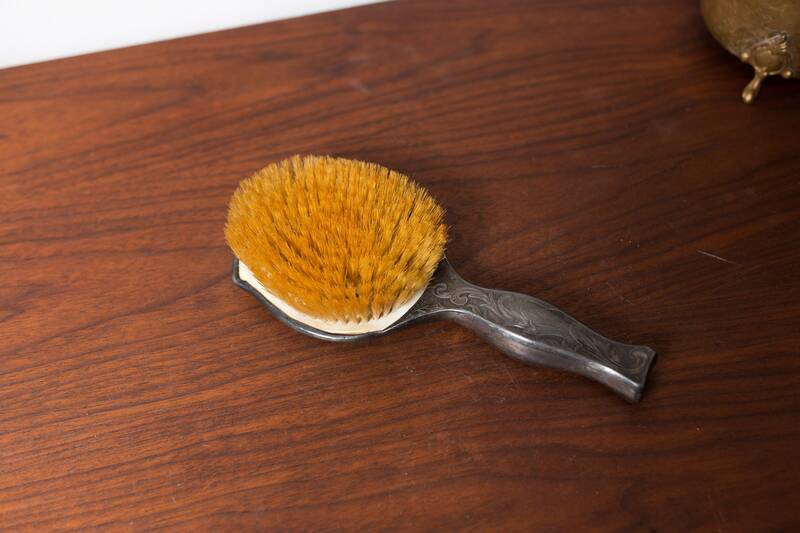 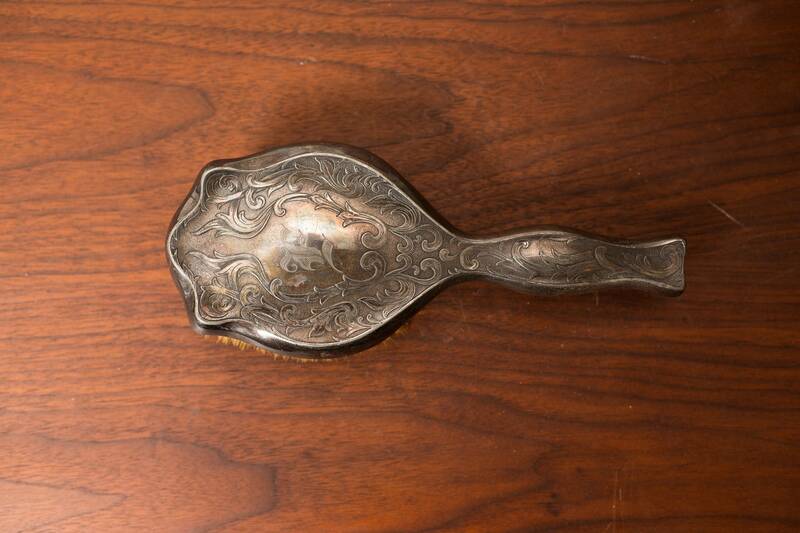 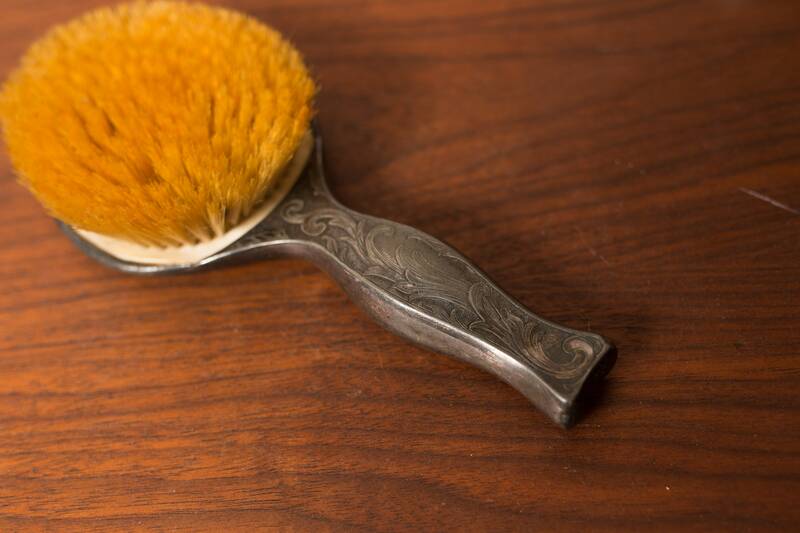 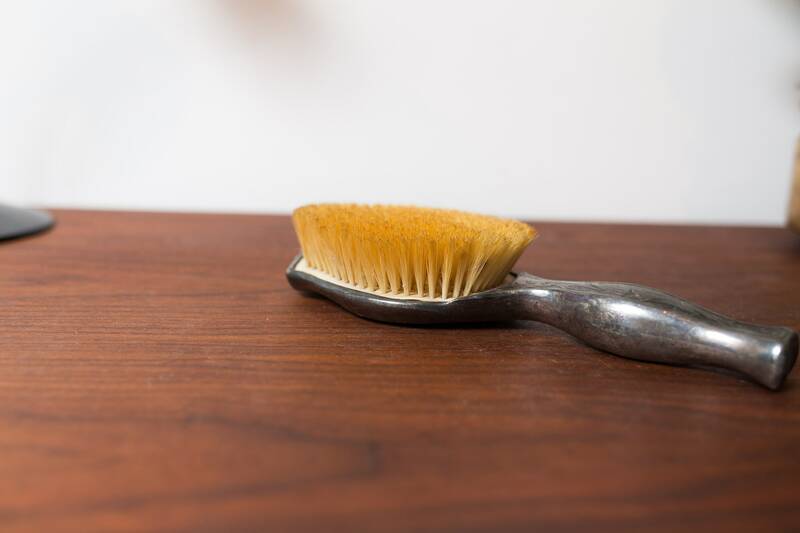 This is a beautiful vintage English Victorian style silver plated boar bristle hair brush. 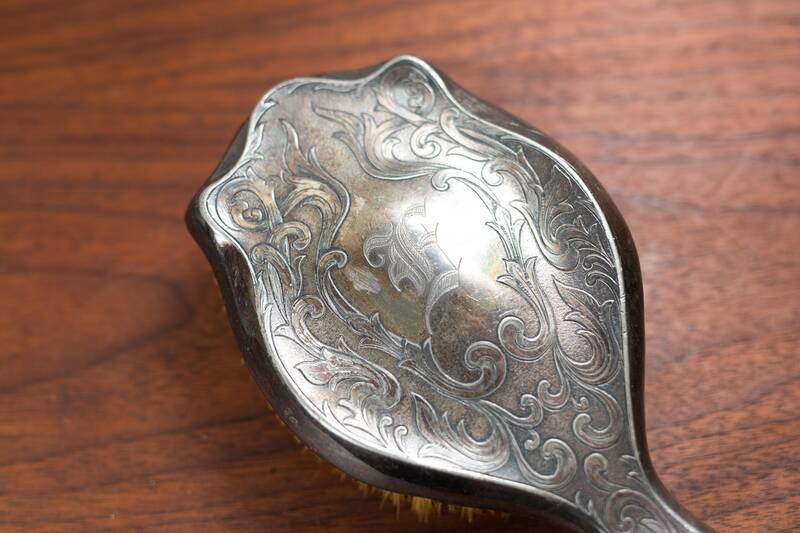 It has a wonderful metallic tone with a raised ornate pattern and would look great with a silver polish. 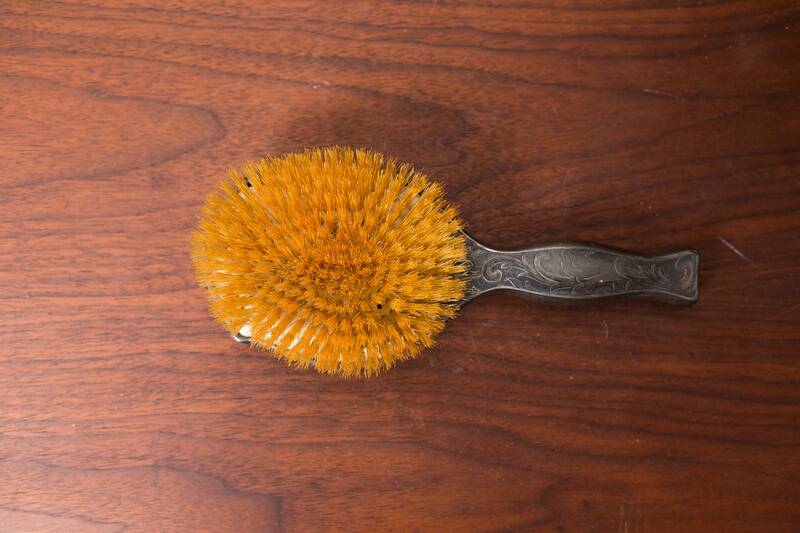 Thank you for the lovely brush and an additional bag to cover it! 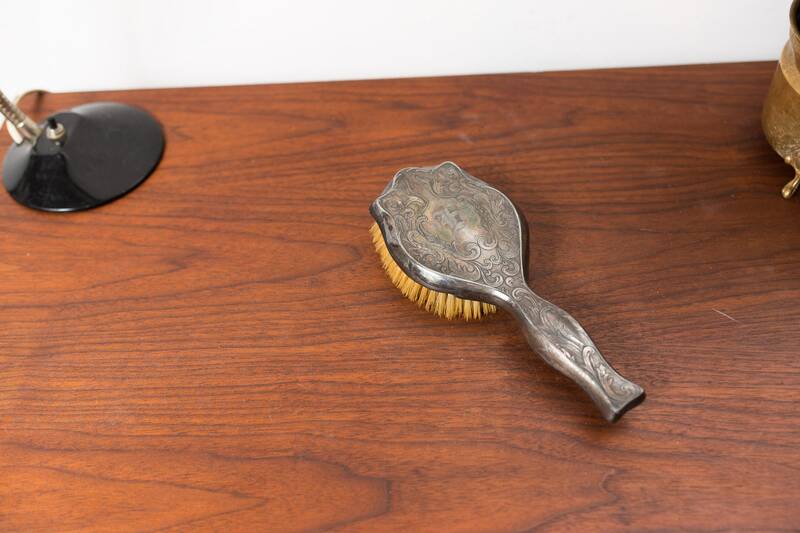 The Item is as in the description and delivery was immediately.